Our control system is based on PLC control connected with operating panels (touch screens). 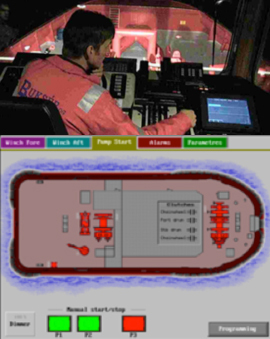 The equipment is made for control of all equipment on deck and touch screens. You can choose between manual or automatic control. There are a display showing system data, towing control and tension, length paid out and alarms. 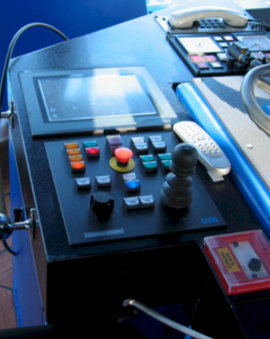 The control systems can be special designed and optimised for each vessel. The systems can be accessed via internet for system control /monitoring and service. The system integrate all deck machinery onboard: towing winches, deck cranes, anchorwinches , spooling devices , tugger winches and karm fork . The system is flexible and can communicate with other systems onboard, example power-management systems. The system can also include radio remote controls.